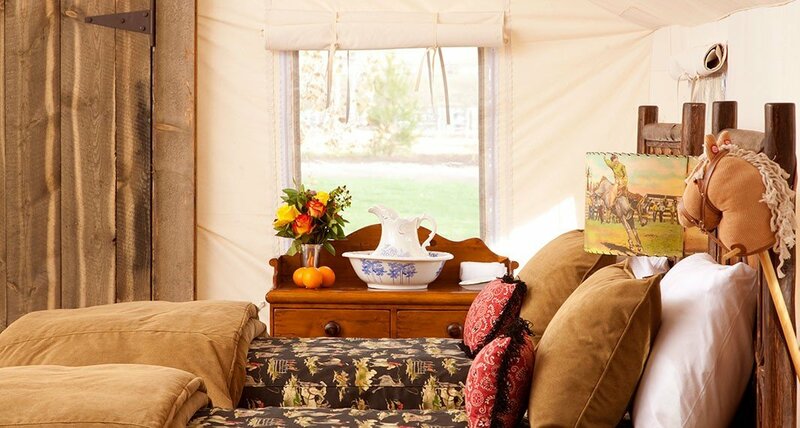 Immerse your family in nature by staying in one of our four Family Canvas Cabins on the banks of Rock Creek. The setting, close to Camp Roosevelt and the Rodeo Arena, inspires unique family vacations and memories. The cabins are distinctly furnished in a rustic camp style, featuring private baths, luxurious bedding and the murmur of the creek running just outside your front door. 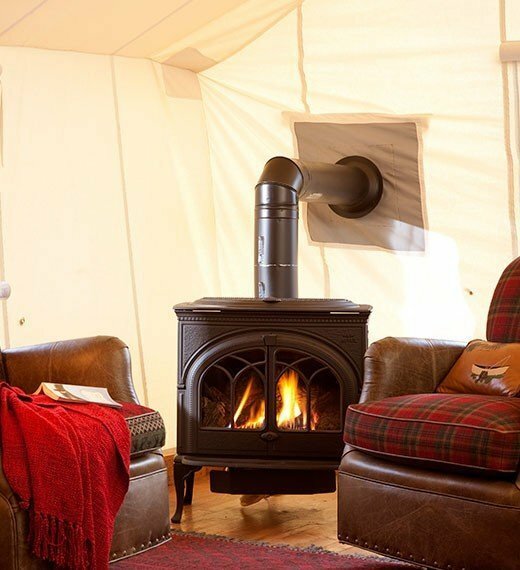 The Family Canvas Cabins take their names from the residents of Montana waterways, the fish. They feature two rooms separated by a curtain. 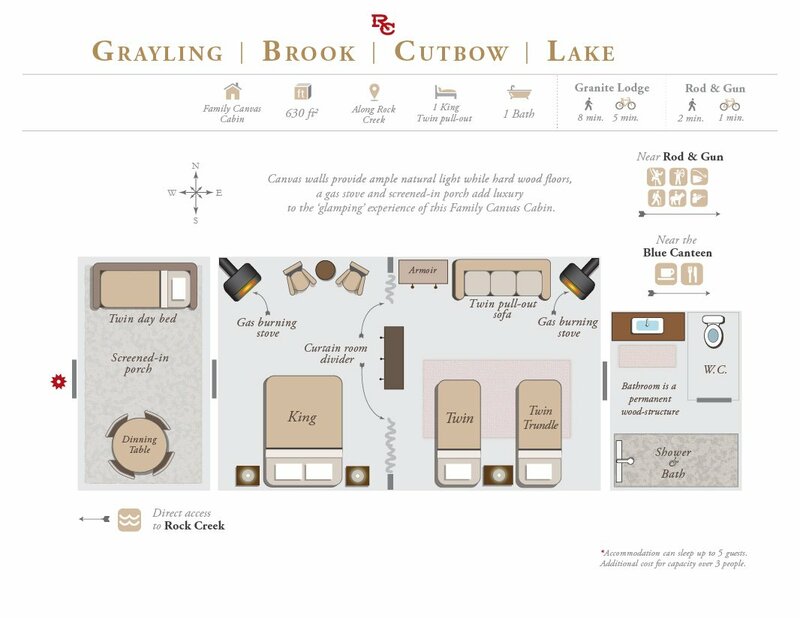 The Grayling and Lake cabins offer one room with a king bed and one room with two twin beds or a converted king. 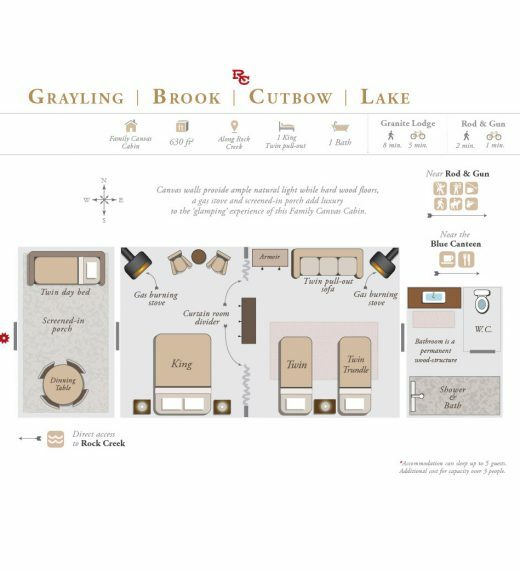 The Brook and Cutbow cabins feature a king bed in one room, as well as two twin beds/converted king and a trundle in the other. All four cabins feature two gas stoves, a screened porch, a reading nook and a private deck. Each accommodation has a private bathroom in the bathhouse, accessible via a short, lighted walkway, in addition to an attached bathroom. These cabins are ideal for families of four or five. There are four 1,047 sq. ft. Family Canvas Cabins: Brook, Cutbow, Grayling and Lake. 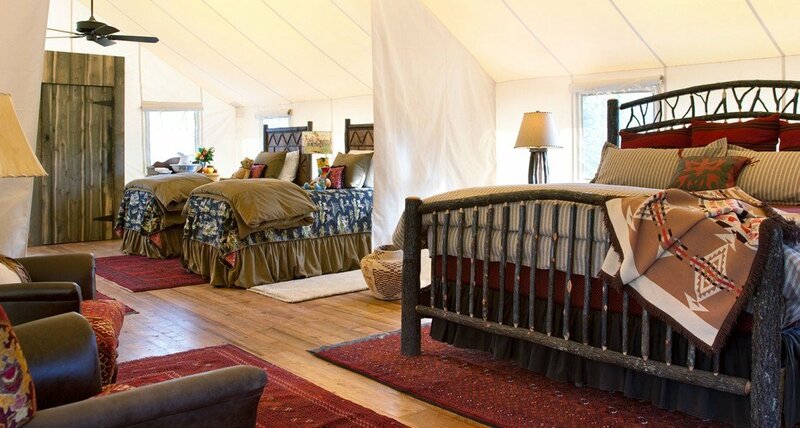 Standard occupancy is three guests, with a maximum of six in some cabins. Family Canvas Cabins are closed during the colder months. Trapper and Sweet Grass Cabins are open year-round.